I can’t get enough of this color! With the bamboo chairs and the hanging tea lights, this look could be either tropical or southern. I love it. Coral is so versatile. 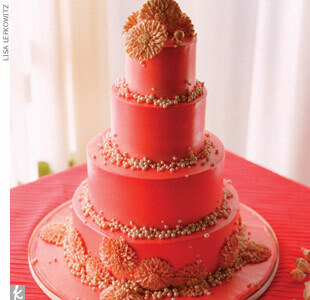 This is a beautiful cake, but personally I think they went a little overboard on the coral. If they would have put this on an ivory table cloth, and the daisies on the cake were lighter…this really could have popped. It’s all about contrast people! 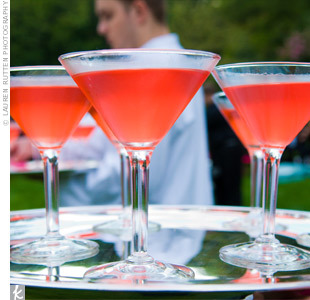 Some signature drinks, if made to be the color of your wedding, can look a little strange and unappetizing. But this coral watermelon martini is a great way to go! It just looks refreshing, fun but classy at the same time. Fans never get old. 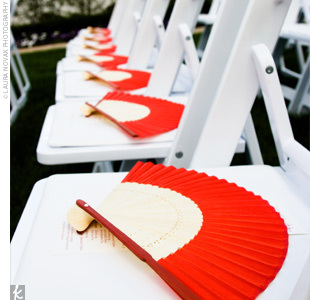 DO provide these adorable party favors to your guests for an outdoors wedding. They serve a purpose and they’re absolutely gorgeous. 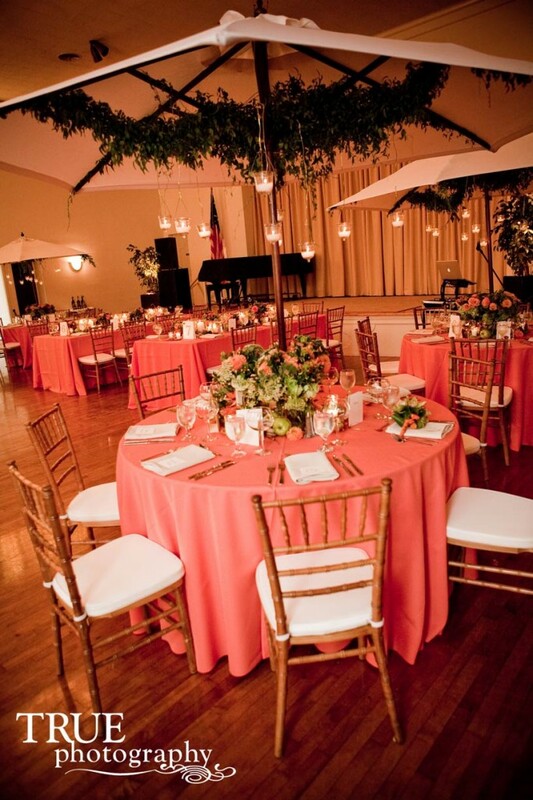 This weeks wedding color is Coral. It’s the new pink. It can be paired with just about anything if done correctly. I just can’t get enough of coral! 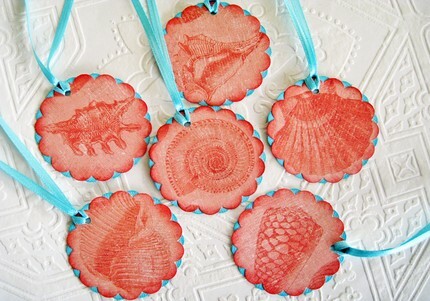 found some great ideas for Coral weddings. I hope you enjoy them Brides! I absolutely adore these Bridesmaid dresses. 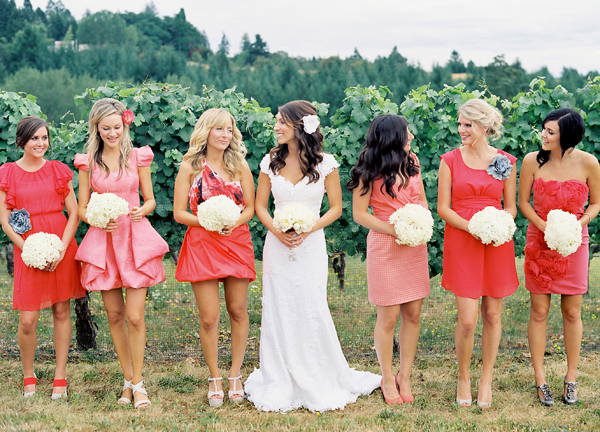 Don’t buy the same exact dress for every bridesmaid. Instead, mix it up with some different shades of coral, lengths and styles of dresses. Your girls will most likely appreciate it as well, considering they may not all be the same shape and size. Plus finding a dress to flatter all of them is usually a pretty difficult task.